Home » Multi-Family Investment Plan Expands Your Net Worth: Essential Tips! It is difficult to change a mind-set that has developed for three or four decades. Like it or not, we’ve all been programmed to some degree by family, personal history and choice of profession. We work hard to master the accepted norms in medicine, finance and law so that we can succeed. Then we realize that “success” is relative. Yes, for those of us who have trained as an emergency medicine physician or dentist or attorney, we take pride in providing excellent services. Then we look at the bottom line (a disappointing monthly assessment of your mutual fund investments, for example) and scratch our heads. How is it that I can work so hard every day and yet not be creating significant wealth? Maybe you’re afraid to think and take action in new ways. My life changed significantly when I entered the realm of multi-family real estate investing. My net worth began to expand significantly. Not that I was born to the manor (or apartment complex), so to speak. The Midwestern upbringing that provided some stability did not necessarily prepare me to think wisely about money. I had to do a personal assessment. A gut check. Personal goals, near- and long-term, had to be revised. So I’m not here to criticize you if you still can’t see the benefits of multi-family real estate. But let’s look at some facts, because statistics reveal some compelling reasons for taking the leap. First, new multi-family rental construction is strong. In July 2016, the latest Fannie Mae projections show that year-over-year growth is 10 percent. OK. That’s sound like a nice trend, right? But we have to dig deeper and ask why is this type of housing enjoying such growth? For starters, single-family home construction is down. This causes inventory to tighten, and then what happens? Prices surge, and inflated values make it more difficult for new professionals to buy a home. Of course, a lot of the data is focused on Millennials, who can’t catch a break in the housing market. Tight lending practices block their desire to become first-time buyers. So what do they do? Again, Fannie Mae stats tell us a lot. 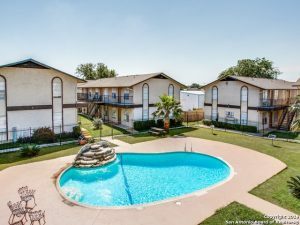 The new generation of doctors, lawyers and business professionals of all stripes settle for renting a nice apartment in a neighborhood that is convenient to work, entertainment and mass transit. Now do you understand why multi-family real estate is a legitimate trend? Not even so-called “rich” people can afford a single-family home. Maybe that’s a blessing, though I know this may sound like I’m disparaging the American Dream. Most professionals ignore a simple fact: your first home may inspire envy among your peers, but is not an asset, it is a liability. I’ve discussed this in previous blogs. In the old days (not so long ago) new investors would all but beg for a “hot” stock tip. They didn’t have time to do their own research, so they hoped to get lucky. But the real estate market has something better to offer. We know the single-family home market is tight in some areas, and Millennials are migrating to a rental lifestyle. Guess what? That’s even better than a tip about sure-thing paper investment. And proof can be found in the multi-family development world, where builders are working overtime to fulfill the demand. Once again, we turn to statistics to make the case. Moody’s Analytics predicts that the next couple years will see an expansion of multifamily building starts (549,000 units in 2017 with a slight dip in 2018). By the way, these numbers are a lot bigger than the 1989-2008 average annual growth rate of 260,000 new starts. Yikes. Let’s list the reasons multi-family real estate should be in your portfolio. • USA LACKS housing that is affordable, even for professionals who make a nice annual income. • FIXER-UPPERS, formerly known as starter homes, were once a way to get into real estate. Not anymore. • LAGGING CONSTRUCTION for single-family homes creates a tight market. • SLOWER HIRING trends suggests upwardly mobile professionals may have to cool their jets for a while. • LIFESTYLE CHOICES, according to an Ernst & Young study, have Millennials chasing after rental properties that provide excellent maintenance and often concierge services. Fewer headaches at home for a generation that is working longer hours each week. When your financial planner finds a thriving market, does he or she bring it to your attention? Would you say yes to an opportunity that seems to portend long-term growth? Now that you know the trend, consider the major benefit of owning multi-family units. PASSIVE INCOME. Each day you go to work you must labor long and hard to earn an income that supports your family and, probably, pays down substantial student debt. Good for you, that alone is worthy of praise. Now imagine finishing your work week knowing that while you helped patients or clients your investment portfolio grew substantially. In short, you made money even though you never had to put in time mowing lawns or painting apartments. Passive income is the path to the kind of wealth that allows you to commit to your professional obligations while also preparing for a sweet retirement or career change.